A traumatic brain injury (TBI) is a very serious health issue that contributes to a high number of deaths and permanent disabilities. It is also a hot topic right now because professional athletes are beginning to display the long-term symptoms of repetitive concussions. 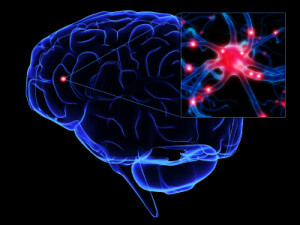 According to the Centers for Disease Control and Prevention, approximately 2.5 million people suffered a TBI in 2010. The Brain Trauma Foundation even claims that TBI is the number-one cause of death and disability in Americans under the age of 44. When negligence leads to a TBI, victims often file injury claims because brain injuries are expensive and difficult to treat. If you are planning to file a personal-injury lawsuit in Miami after suffering a TBI, you’re probably looking for an experienced attorney to help you plan, file and win your lawsuit. At Wolfson Law Firm, LLP, we have 50 years of experience helping Miami residents win their injury claims. To arrange a consultation with a personal-injury lawyer from our firm, please call 305-285-1115. A high-school soccer player suffered a brain injury during a team practice two years ago. CBS News reports that she is still experiencing the negative effects of that injury. Fatigue, headaches and other problems impact her life on a daily basis and have made it difficult for her to keep up in school. She says her symptoms have even cost her an athletic scholarship for college. The woman says she collided with a teammate during practice and suffered a concussion. Despite state laws requiring that coaches remove players with concussions, her coach told her to continue practicing without any medical treatment. Now, she is suing her coach, her superintendent and the school district for negligence. During a game, coaches instructed cheerleader Shelbie Stevens and her team to perform stunts that were dangerous. The team felt unprepared to complete those stunts but followed the coaches’ directions. During the stunt, Stevens suffered two injuries, both to her head. In each instance, supervisors told her to return to doing the stunts without any medical evaluation. The San Gabriel Valley Tribune reports that her injuries continued to worsen to the point that she is currently disabled. She recently filed a personal-injury lawsuit against her coach and the school for negligently allowing her to continue performing despite her concussions. She claims that the school had no protocol in place for dealing with possible concussions and says negligence directly led to her injuries. There are many ways to suffer a TBI. If you’ve fallen victim to a brain injury during a car accident, at an athletic competition or after tripping over a hazard, you may be entitled to compensation. If you would like to arrange a free consultation with an experienced personal-injury lawyer in Miami, don’t hesitate to call us at 305-285-1115.